Joe’s Bruins receive a positive shout out in my introductory methodology post. For all of the posts in this series, visit the 2017-18 Non-Conference Scheduling Hub. The 2017-18 men’s Division I college basketball season will tip off in just a bit more than two weeks. Unfortunately, it took almost the entire offseason to learn everyone’s non-conference schedule. Just last week, the FIU Panthers and Maryland Eastern Shore Fighting Hawksreleased their slates, while the Arkansas-Pine Bluff Golden Lions just posted theirs on their website on Monday, October 23rd! If you remember the 2016-17 version of this series, I had to make several late updates to the rankings, thanks to some games added in early October. And I limited that version to the teams I considered part of the at-large pool. However, I’ve expanded my coverage for 2017-18 to all 32 Division I conferences. So, that’s going to make rankings updates far more difficult. Therefore, all data in this series reflects games scheduled as of Monday, October 23rd. Speaking of data, here are the explanations of the various terms you’ll find in these posts. To calculate the relative strength of each of Division I’s 351 men’s college basketball teams, I used the same basic four-year formula from the last two seasons. As usual, more recent seasons are rated more highly, but last year is not fully weighted due to roster changes. This is the Team Score. There’s one significant change from last season that’s affected this whole exercise. Ken Pomeroy switched his ratings from the Pythagorean Winning Percentage (pwp) to an Adjusted Efficiency Margin (AdjEM). Since these margins can be positive and negative (or zero, if we want to get even more technical), this change impacts my later calculations more than the Team Score rating itself. To better reflect the scale of differences between teams, my data consists of KenPom.com’s pre-NCAA Tournament AdjEM numbers, not the rankings, for 2013-14 through 2016-17. Even with the change from pwp to AdjEM, the rankings still feature teams that are placed where you’d expect to find them. To judge a team’s non-conference schedule strength, I used the same formula from last season that reflects game location, conceptually. However, I had to modify the location weighting to reflect the AdjEM metric’s infinite quality. When necessary, I will offer my specific reasons for placing games in particular category in each team’s individual capsule. True Home Games against an opponent always receive a Game Score that equals the Team Score. I applied no weighting to these. However, I had to adjust the weighting for all other game sites to reflect the positive and negative Team Scores AdjEM creates. Let’s start with the best team in the rankings, Villanova Wildcats. The Wildcats’ weightings work just like last season’s. But if you attempt to use these same weighting factors with a team with a negative AdjEM, you only end up with larger negative numbers. And since these ratings are designed to reward teams that play games away from home, I had to adjust the weighting as illustrated with the Game Scores for the 351st-ranked team, Florida A&M Rattlers. Home games against FAMU are always scored with the Rattlers’ Team Score of -11.956. In other words, I multiplied the negative Team Score by a decimal that would provide the same weighting that positive Team Scores receive when they’re multiplied against the holdover positive location factor. Games against non-Division I opposition always receive a zero, no matter the site. However, looking at some of this year’s results, I am open to suggestions as to how to better punish teams for scheduling these contests within the ratings. where N equals the total number of non-conference games a team scheduled. Note that individual Ns range from 10 to 17 games this season. Teams participating in bracketed tournaments once again receive four schedule strength scores. The Known Schedule Strength accounts for all established games on a team’s schedule, including the first opponent in a bracketed tournament, but does not account for anypending tournament games. In this case, the N is only the number of known games. For example, the Florida Gators, participating in the Phil Knight Invitational with semifinal and final day opponents to be determined, have a “Known Schedule” N of 11, while their “Complete Schedule” N, which will be used for the next three metrics, totals 13. The Average Schedule Strength accounts for the game score for the first opponent and the average game scores of all possible opponents for the second and third games. This score reflects the general strength of a team’s tournament field. The Maximum Schedule Strength accounts for the game score for the first opponent and the game score for the best possible opponent for the second and third games. In other words, this score projects a trip to the event’s championship contest. The Minimum Schedule Strength accounts for the game score for the first opponent and the game score for the worst possible opponent for the second and third games. In other words, this score projects a trip to the event’s consolation game (in a four-team bracket) or seventh/eighth-place game (in an eight-team bracket). The average score is the most meaningful one, in my opinion, simply because it’s impossible for all evaluated teams to experience either the best or worst case scenario. Instead, the average score aims to reflect the collective quality of the tournament field. As a result, the overall min and max rankings will wildly vary from the average ranking, as you’ll see in future posts. All teams, even those whose schedules are set in stone, are placed within all four rankings. For example, here is the Pac-12’s schedule ranking table with all four schedule strength scores and national rankings displayed. 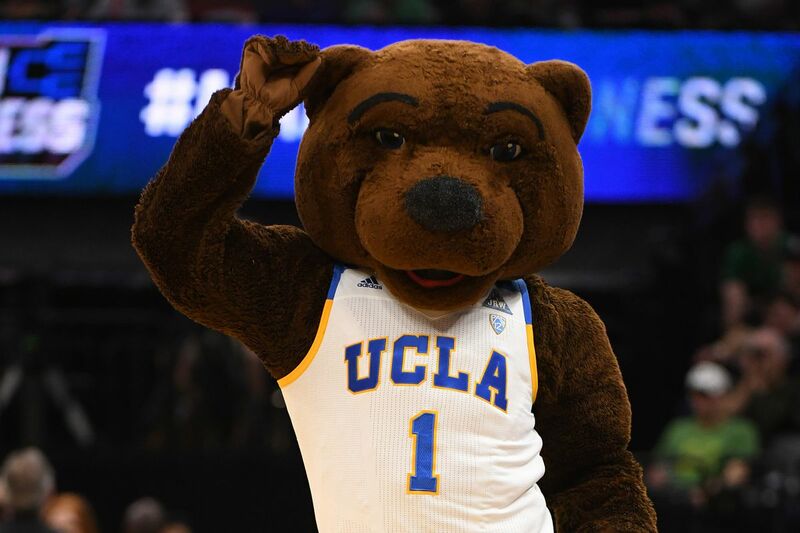 Bracketed tournament Game Scores can also vary based on site, especially since several of these events feature teams playing true or semi-home games this season (for example, the UCF Knights in the AdvoCare Invitational and the Cal State Fullerton Titans in the Wooden Legacy). Games for a bracketed tournament appear twice if there’s a location-rating difference, with the names of the teams that don’t fall under a particular category placed in parentheses. One thing I decided to measure this season is how well a team’s schedule strength matches up with its four-year KenPom ranking. Ideally, you would think teams would schedule to their capability. So, I devised a simple formula to determine how often this happened and how badly teams over- or under-scheduled, using the Average Schedule Strength Ranking to account for the relative strength of the fields of bracketed tournaments. Since the Scheduling Gap can be either positive or negative, teams are ranked first by the absolute value the gap, since both over- and under-scheduling are undesirable, but smaller differences are preferable to larger ones. When two teams share the same gap, teams who over-scheduled are ranked higher than those who under-scheduled. If two teams are still tied, the stronger average schedule strength results in a higher rankings. Since the Pac-12 offers an example of a team that did a perfect job of scheduling to its ranking, UCLA, and one that didn’t, cough Oregon cough, here’s that conference’s breakdown as a sample. Before moving to the actual teams, I want to close with a thank you the Twittersphere’s @TheD1Docket for sounding the virtual klaxon any time a team released or changed a schedule during this offseason. That info made this arduous task slightly easier, though I still learned some lessons that will make this task easier in future seasons!